How to give a cyclist fork to mouth resuscitation. I think I must have been complacent after yesterday’s ride and not eaten enough breakfast because I was caught by surprise after only 25 miles when my legs went to jelly in the pleasant and sleepy lakeside township of Savona. 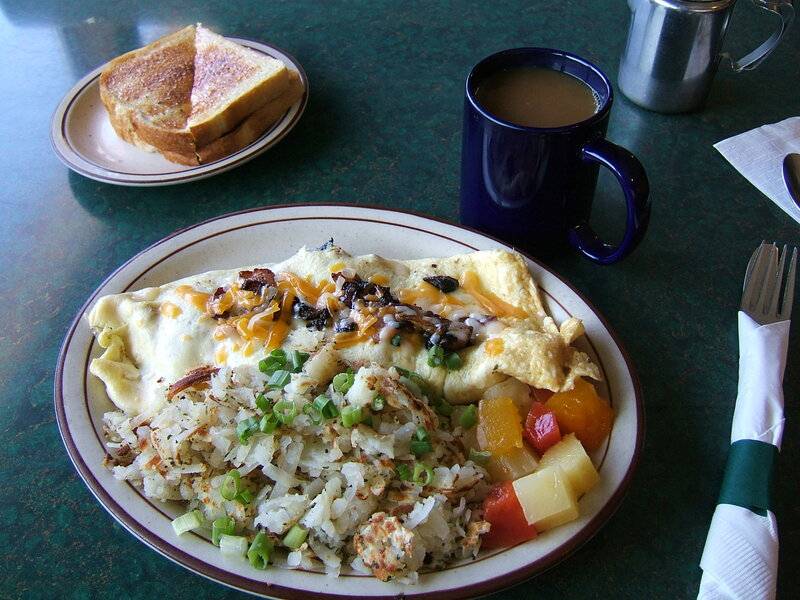 A big shout out to the Roadside Diner therefore, your massive Roadside Omelette with refills of coffee and sourdough toast saved me. Traffic worries – or not? I wasn’t sure what to expect from today. 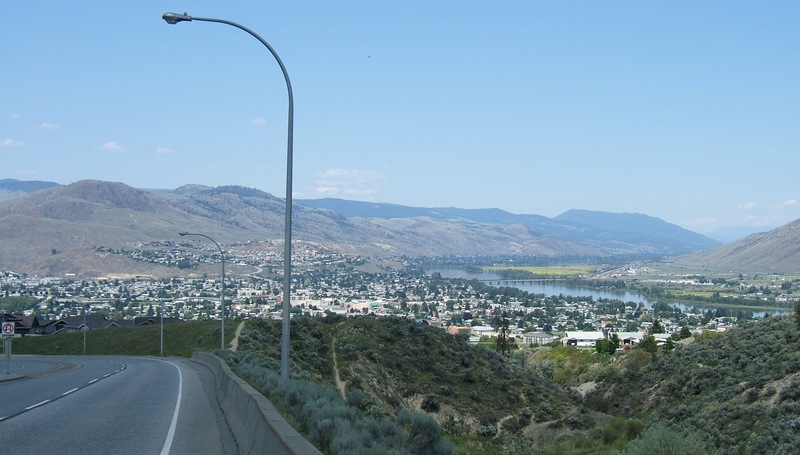 The simple facts were 85km from Cache Creek to Kamloops and only a few hundred metres of climbing. But I was quite concerned that I was now joining Canada’s Highway 1, the Trans-Canada and the many trucks seen in Cache Creek could be coming my way. Plus the forecast for Kamloops was heading for 34 degrees, so I certainly didn’t want to be out in the main heat surrounded by traffic. I have no idea why I worried. Most of the trucks I had seen the previous day were heading north as a new link has bypassed this East-West section of Highway 1. It is amazing to see that in any country a road designated number 1 was so lowly trafficked until much later in the morning. Most of the way it had at least a 1 metre shoulder and the drivers were unfailingly courteous, pulling far wider than expected or needed as the passed me. For long periods I was alone listening to birdsong and crickets. The only exception was as I approached Kamloops. Volumes of vehicles shot up from traffic re-joining off the alternative route and the city itself was far bigger and busier than I had imagined. I guess I had been expecting the next size up from the small towns of previous days but this is a big, bustling town, a real shock to the system. Actually little to report. Much of the riding itself was on open arid plateau or similar wide valley, irrigated to support crops with the road visible in the hazy heat winding into the distance. 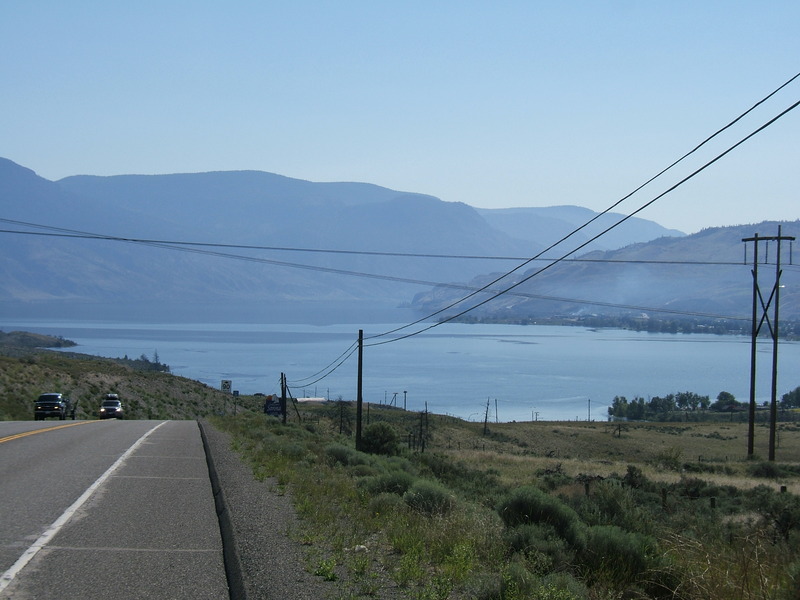 Even after the spectacular descent to Kamloops Lake at Savona the road pulled away from the lakeside most of the way, climbing quite high before a steep final descent to the city of Kamloops. It was very hot and I am frustrated that after lavish doses of factor 30 I neglected the tops of my legs which I never need to cover at home, by June they are always well browned. But of course this has not been that sort of summer in Europe and I have a painful pink line which I won’t share. Other reflections on the way: Savona was a sweet, sleepy place and the locals take amazing pride in their lakeside gardens and flowers, shocks of colour against the dry scrubby landscape. But almost every other house in Savona appeared to be for sale and all the way along there were what could be dream houses for sale. 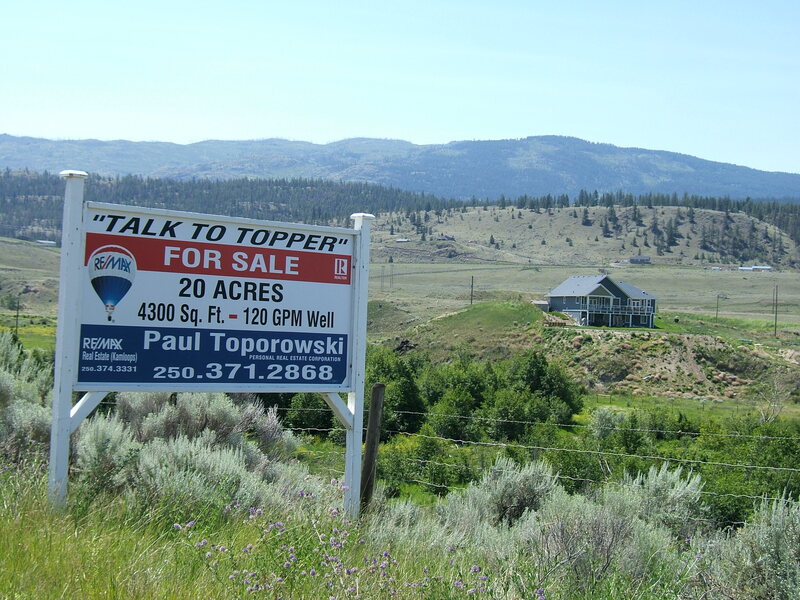 The real estate collapse in Canada was very much in evidence here. In the big town I was quite taken aback at having to battle traffic and navigation to get to my motel. 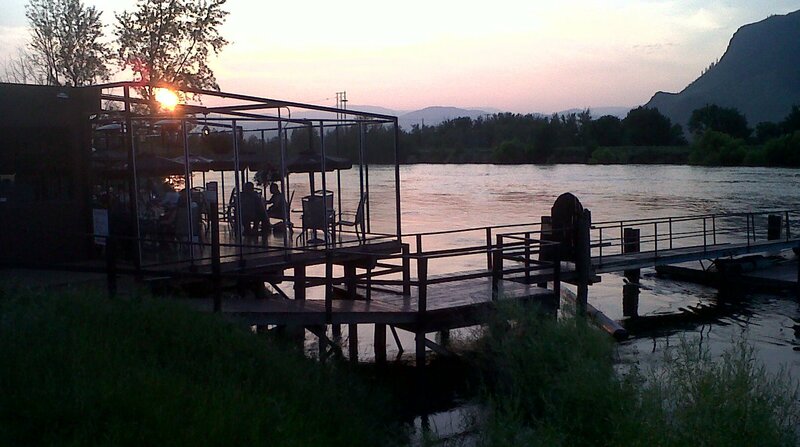 However all was saved by the discovery of a riverside terrace nearby and a beautiful sunset. All is tranquil before another long hard day tomorrow. 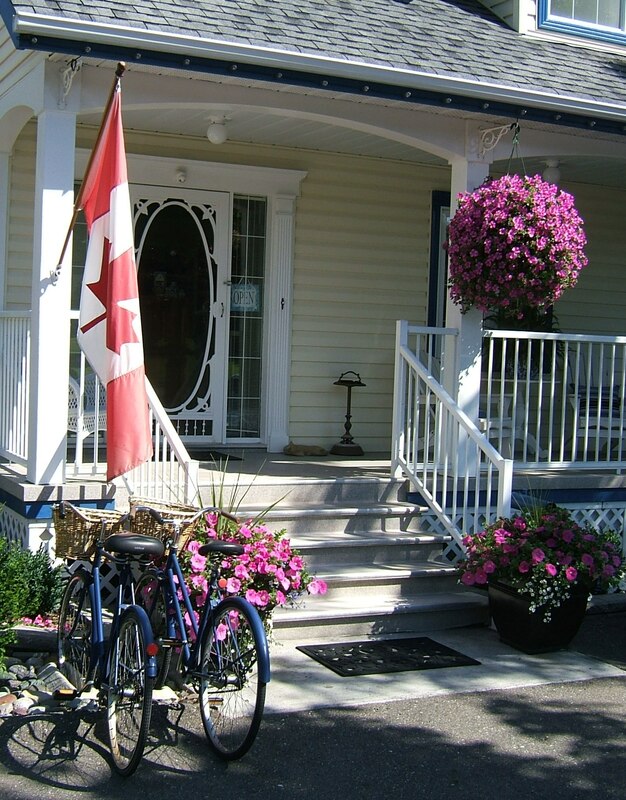 This entry was posted in Countries, Travel and tagged British Columbia, canada, cycling, Heat, Kamloops, Touring, Visits by kevinmayne. Bookmark the permalink. been saved a few times myself by roadside restaurants on rides. Family run places are my favorites. .